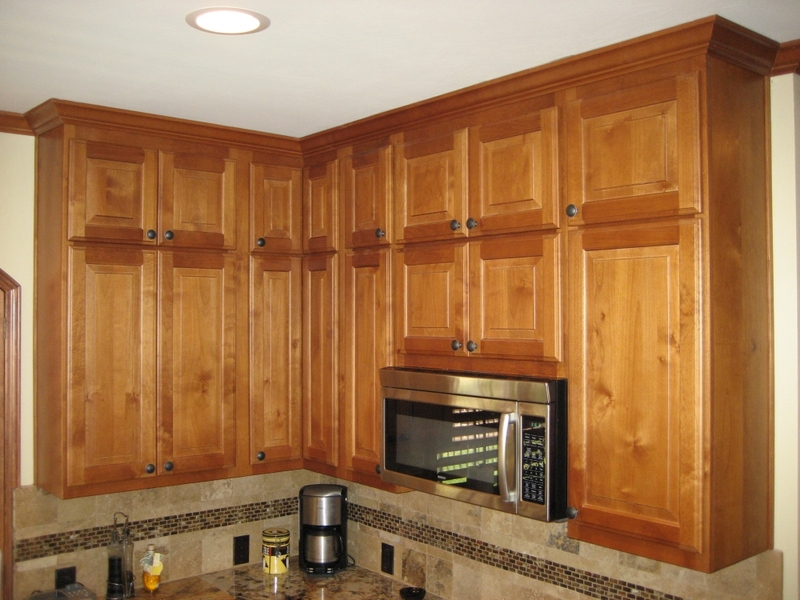 New cabinetry goes all the way to the ceiling. 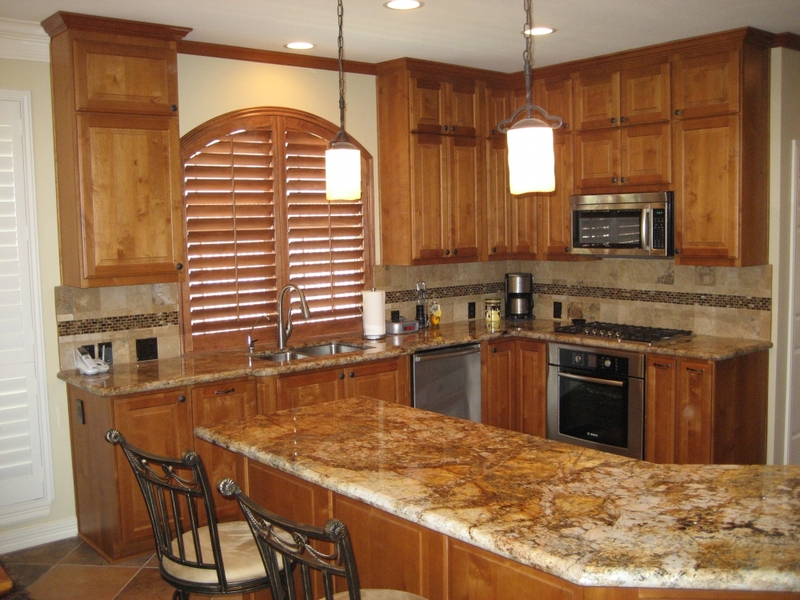 This is achieved by installed two wall units to reach that high. 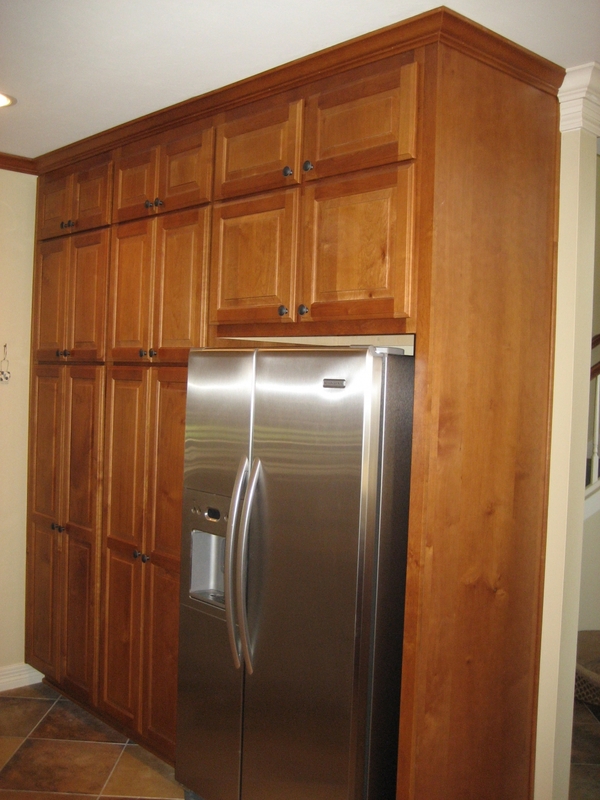 The refrigerator wall includes full depth cabinets from the floor to the ceiling to create a wall pantry. 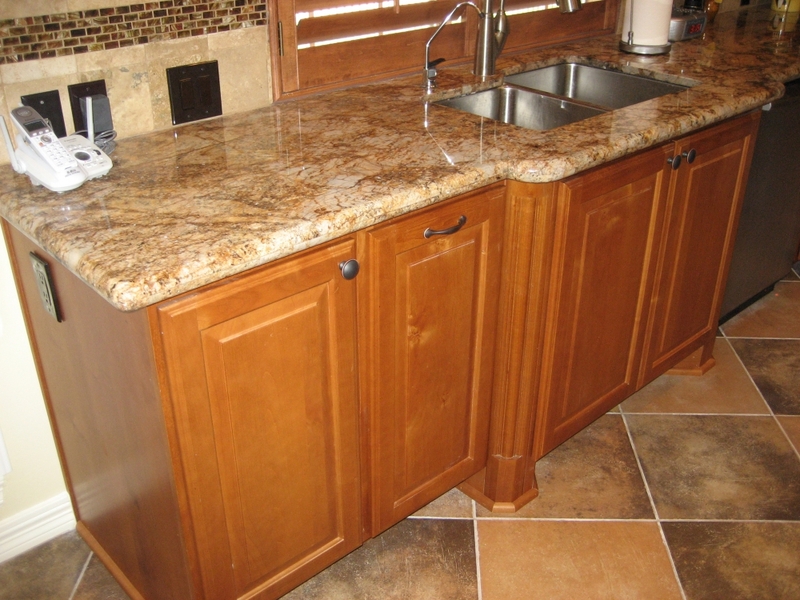 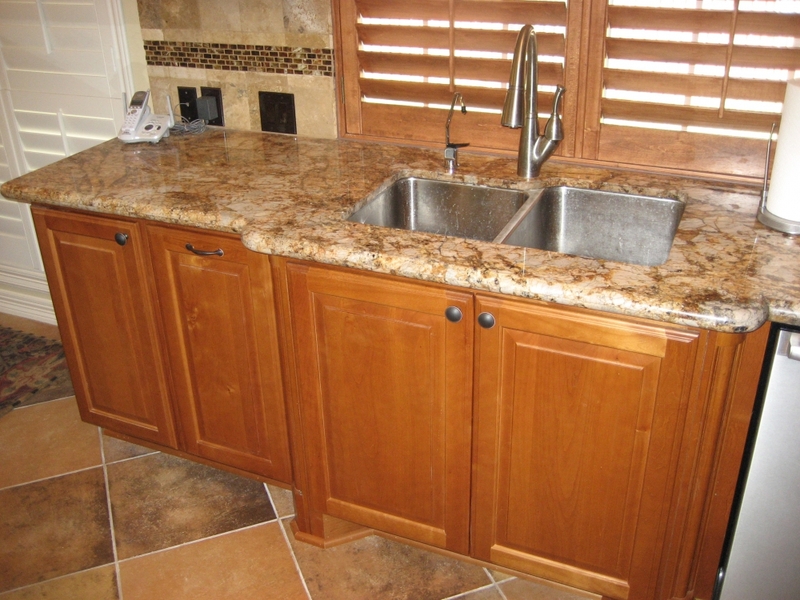 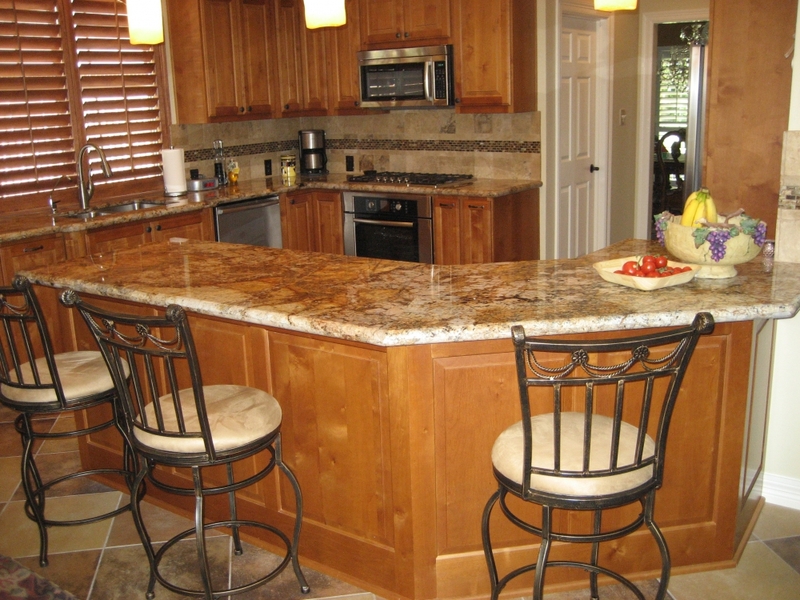 The cabinet for the sink is bumped out and the granite follows that contour. 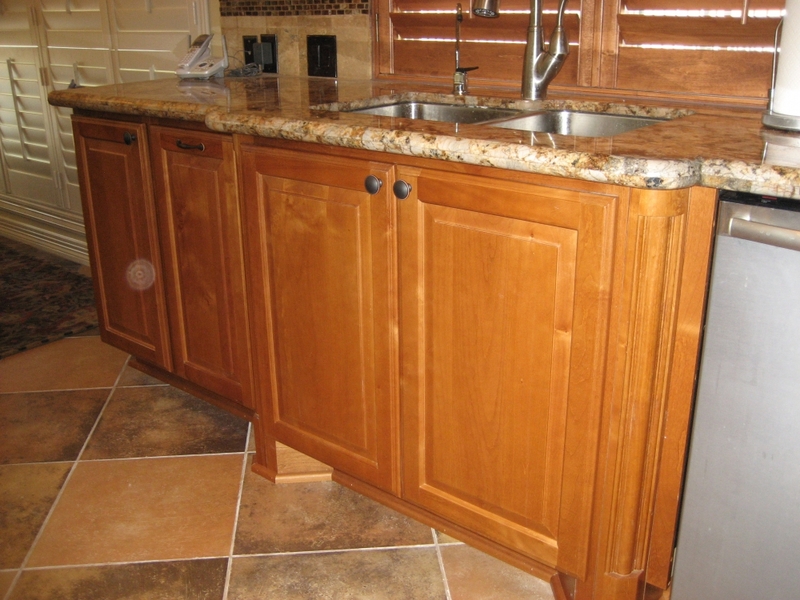 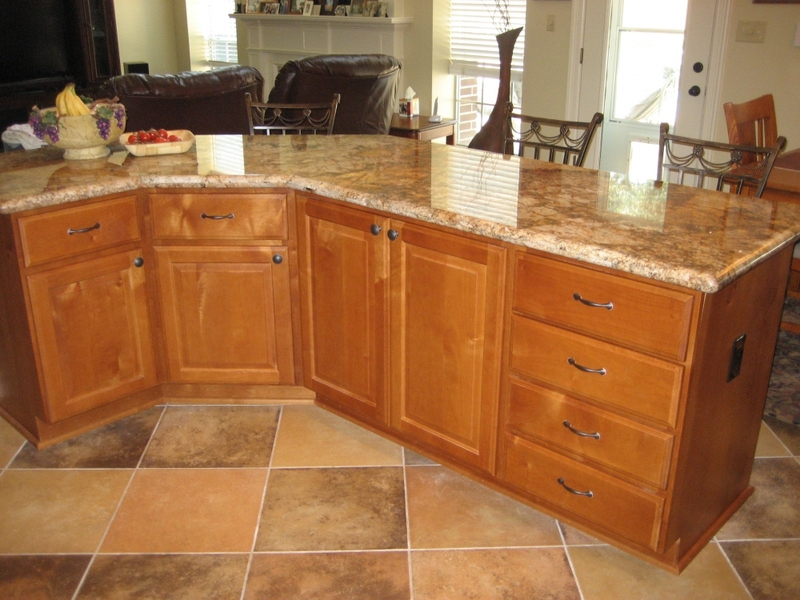 The island cabinetry now contains improved storage with a combination of drawers, doors and roll out trays.